This week's question: How will you stay cool during the heat of the summer? 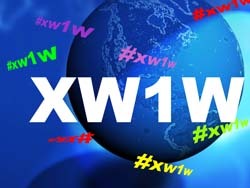 XW1W uses today's instant technologies to share answers to the same question across the world once a week. XW1W is a simple, social way for students to learn about real life in other cultures from real kids all across the world. By simply "hashtagging" Twitter or blog responses to a weekly question about daily life, students can share and learn about other cultures from their international peers. Responses can be brief: tweeted in 140 characters or less; or longer: blog posts, wiki pages, even multimedia creations. By simply "tweeting" a short response with the #XW1W hashtag or tweeting a link to other web-based responses, also with the #XW1W hashtag, students share their local culture and experience. Others across the world are able to find worldwide responses easily via Twitter search or other hashtag tools. Students everywhere are able to see and share answers to the same question across the world once a week. Ready to get started?